To jumpstart your Halloween festivities, prepare an Ole Smoky® Moonshine cocktail for a ghoulish treat. Spook your guests with stories of moonshiners past while sipping on the frightfully delicious spirit. 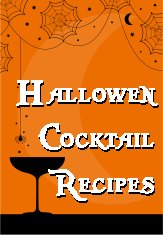 While our favorite Ole Smoky® Moonshine Halloween cocktails are dangerously delicious, some are more menacing than others. Here are some that will have you howling with delight.